The permanent written rules under which the House regulates its proceedings are known as the Standing Orders. The continuing or “standing” nature of rules means that they do not lapse at the end of a session or parliament. The Annotated Standing Orders of the House of Commons of Canada focuses on the written rules and includes a concise commentary and brief history of each Standing Order. The key procedural authority used by Members of the House of Commons, this book provides a complete description of the rules, practices and precedents developed and established since Confederation in 1867. The daily business of the House of Commons is taken up according to a predetermined sequence outlined in the rules of the House. This document shows, in table form, the recurring sequence of business for each sitting day. This document displays, in table form, the rules of the House of Commons pertaining to the time limits on debates and the length of speeches. Information is found under the following headings: proceeding, time limit on debate, notes on the debate, Member speaking, and length of speech. The Selected Decisions brings together the significant rulings of Speakers of the House of Commons. *EPUB is an ebook format that can be used on a variety of tablets and e-readers. This document contains basic explanations and definitions of parliamentary terms in a readily accessible format. Cross references under the headings “compare”, ”distinguish”, ”see”, and “synonym” provide users with additional information for each of these terms. As a single online source of up-to-date procedural information, the Compendium includes a collection of both general and detailed articles on a variety of procedural topics. This guide provides basic information to witnesses appearing for the first time before committees of the House of Commons. This guide provides information about how to submit a brief to a House of Commons committee. 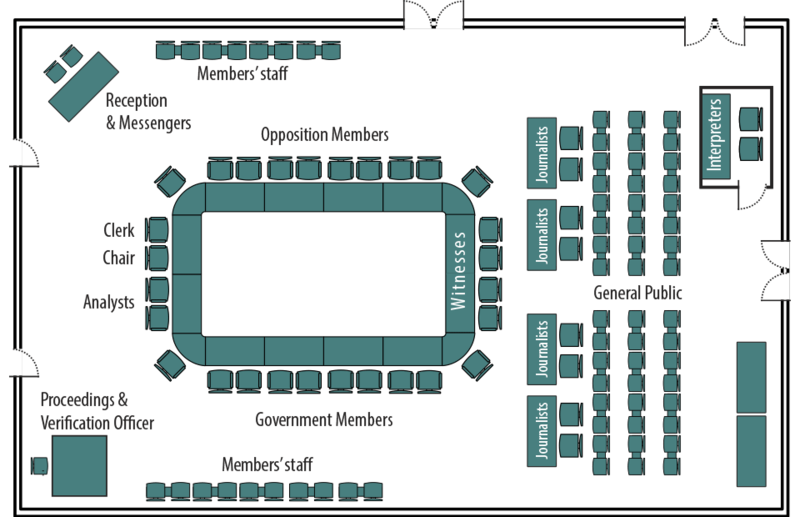 This guide offers basic information regarding the operation of committees of the House of Commons and is for the use of Members of Parliament and the public. It is not intended to be a procedural authority. This handbook explains both the rules governing Private Members' Business and the process behind those rules. This link will bring you to the information resources section of the House of Commons petitions website. You will find a number of practical guides about both paper petitions and e-petitions. These guides are useful for anyone who wants to learn more about how petitions are created and how they are presented in the House of Commons. All guides are available in both HTML and PDF formats. This document contains a summary of the basic procedures for Members and their staff on how to amend bills at committee and report stages. That list brings together in one convenient location the reports and other documents that must be tabled in the House of Commons under the federal statutes in force.